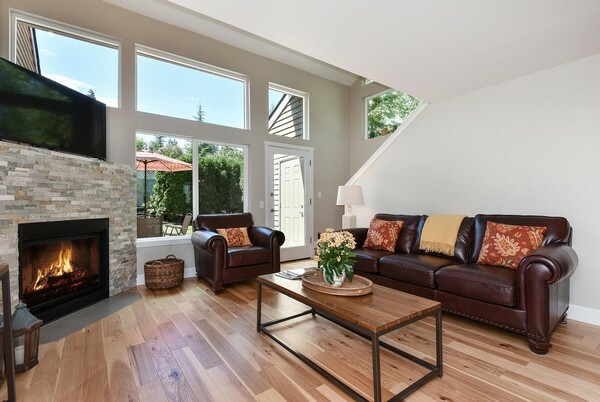 Kirkland - Large 1 Bedroom upscale town home with 2 car garage for short term rental. 30 day stay minimum. Rent pro-rated daily thereafter. Fantastic Kirkland location; only 2 miles from downtown Kirkland and 1 mile to 405/85th street. In private, quiet community Forbes Creek. King bed in Master loft, full size HE washer/dryer, fully equipped kitchen, hardwood floors, tennis court, private backyard/deck. All linens and housewares provided. Fully furnished and appointed. Just bring your suitcase!